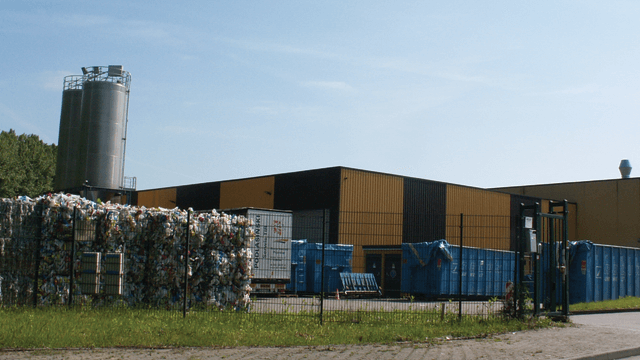 RELUX Kunststofftechnik GmbH in Magdeburg, Germany, is a specialist company that processes plastic film and hard plastic so that can be recycled and used again. The incoming plastic is shredded and washed with water. This results in effluent water that is contaminated with paper fibres and organic materials. These have to be removed and disposed of responsibly. The company’s plastic recycling plant therefore has to process about 32 cubic metres of this effluent flow each hour, round the clock. The effluent is purified in two flotation installations, resulting in floating and sedimentary sludge with a dry solids content of approximately 3–6%. This is then collected in two storage tanks. The floating sludge must be disposed of as refuse. Because the sludge consists mostly of water, its volume must be reduced in order to keep both transport and disposal costs to a minimum. 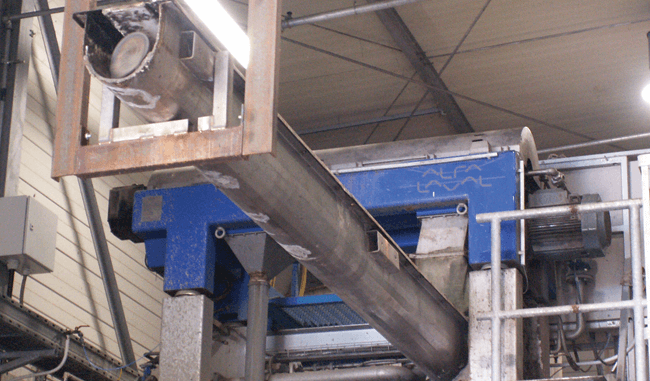 RELUX Kunststofftechnik considered decanter centrifuge technology and a belt filter press for dewatering the sludge – but the belt filter press option was passed over out because it would take up more space and not provide sufficient dewatering performance. When the company contacted possible decanter centrifuge suppliers, Alfa Laval was able to deliver a full-scale dewatering system test unit within just 2 weeks. The installation, start-up and running-in of the system took only 2 days, and the unit’s performance during the test period exceeded RELUX expectation’s in terms of cake dryness. Following up on these results, Alfa Laval proposed that RELUX Kunststofftechnik take over the test unit at an attractive price that included it being fitted with a brand-new decanter centrifuge. This unique opportunity was soon accepted. The unit supplied is a complete ALSYS 30 dewatering system, with all the required equipment (pumps, ALDEC 30 decanter centrifuge, polymer unit, auxiliary technology and controls) pre-assembled on a single base frame. This makes the system straightforward and inexpensive to transport and install, and easy to bring on line quickly. The sludge passes from the storage tanks to the polymer dosing unit, and then to the ALDEC 30 decanter centrifuge, at a rate of approximately 3–5 m³/hour. After separation in this key unit, the residual moisture levels in the sludge are normally an impressive 45–50% dry solids.ary technology and controls) pre-assembled on a single base frame. This makes the system straightforward and inexpensive to transport and install, and easy to bring on line quickly. This reduces the volume of sludge to be transported away by about 90%, with the result that the company is able to reduce its overall disposal costs correspondingly. 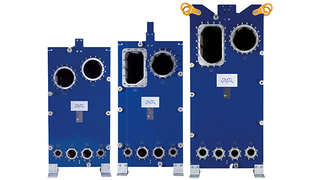 Alfa Laval AlfaVap semi-welded heat exchangers are tailor-made, rising film plate evaporators and are suitable when concentration and viscosity of media are high. Alfa Laval helps reduce the environmental footprint from water and waste streams, by maximizing reuse of water, by turning waste to value, and by minimizing energy consumption and waste. We offer a complete spectrum of equipment for wastewater treatment, filtration and sludge treatment that helps produce clean effluent for discharge or water reuse, recover heat and reduce the amount of sludge for disposal.